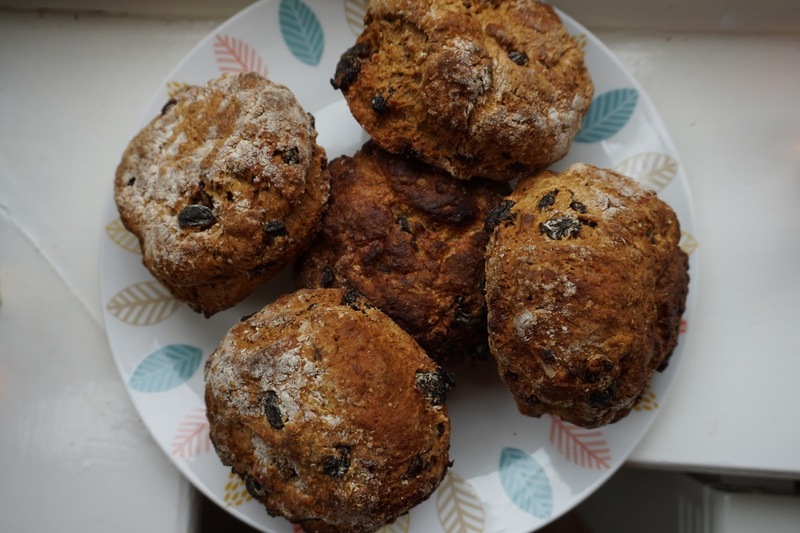 Treacle Scones Recipe. – Where Is My Teaspoon? Happy Friday eve everyone! I have been so tired this week and slow getting through things. I’ve just about managed to tidy the house up a bit and am now on the couch. I’m not feeling 100% today so might stay here for the evening. I have got a lot of things on my mind so wondering if that could be it. Good news though! Today I got the draft for my project back (you know, for my diploma) and it seems to be not horrible..a bit more to do on it but all in all, thankfully on the right track. Well done Sinéad! Hopefully I’ll be able to do a bit of touching up on it tomorrow and over the weekend and get it into a good place. Fingers crossed. As we are getting towards June, I am trying to use up as much of my random cupboard ingredients as possible, just to keep things fresh and to make sure I don’t end up letting things go off and having to throw them out. Absolutely hate wasting food. 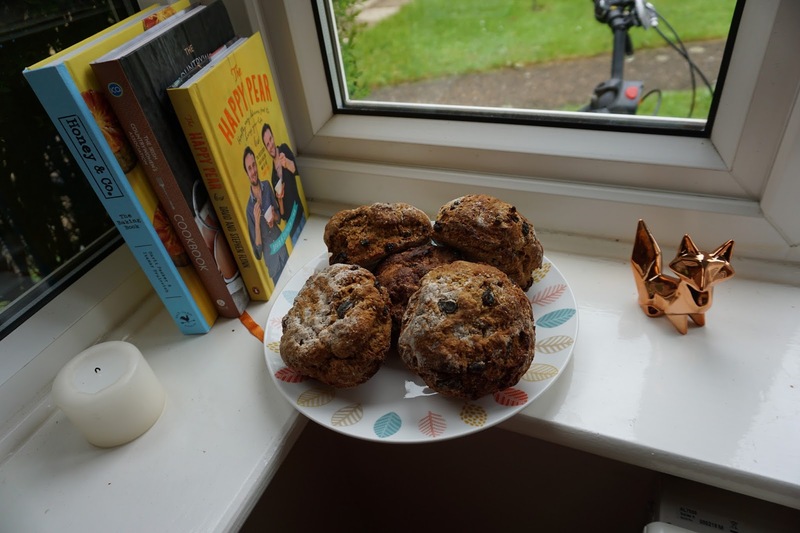 With that in mind, I had a look in the press last night and saw I still have a lot of Treacle left over from my Christmas cake and so quickly pulled together some Treacle Scones. These are quite common in bakeries in Mayo but I rarely see them in other places..no idea why as they’re lovely – especially with cheese and jam but maybe that’s just me, haha! Preheat the oven to 200 degrees and pick a baking tray and line it. Measure the treacle into a saucepan and heat slowly to loosen it a bit. Measure the buttermilk in a jug and add the egg to it. Beat to combine. Add the warm treacle to the milk and stir continuously until blended together. Weight out the two flours and baking soda and mix together along with the sultanas. Make a well in the centre and follow with the wet ingredients. Using your hands, bring everything together until it resembles a soft dough. Gently knead the dough on a lightly floured surface and cut into rounds. Brush the tops of the scones with a small bit of milk and bake for 15-20 minutes in the oven. To make sure they’re cooked, turn them over and tap them. They should sound hallow – try not to burn your fingers! I love these with a big spoon of strawberry jam and a chunk of cheddar cheese but they are lovely as they are or with salted butter too.